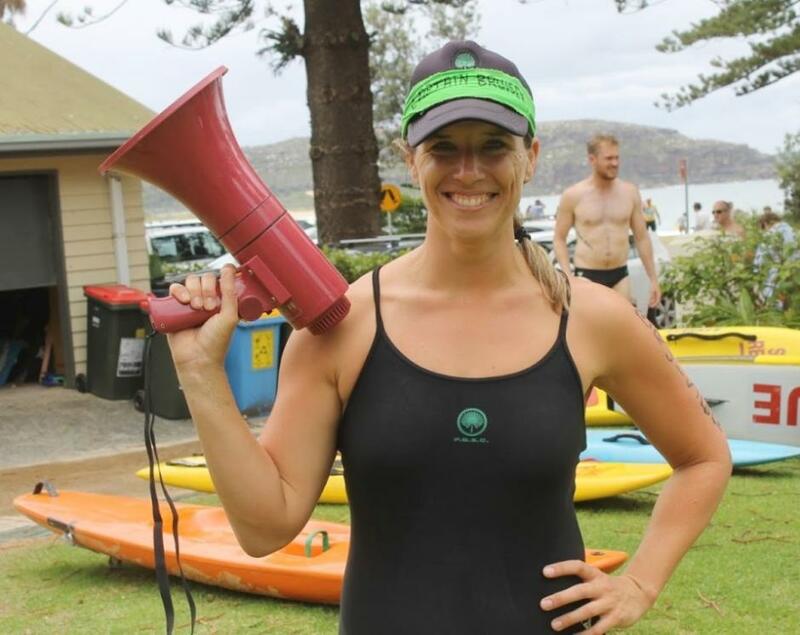 Alex Tyrell, Club Captain at Palm Beach SLSC, is passionate about Surf Life Saving, Palm Beach SLSC and rowing! 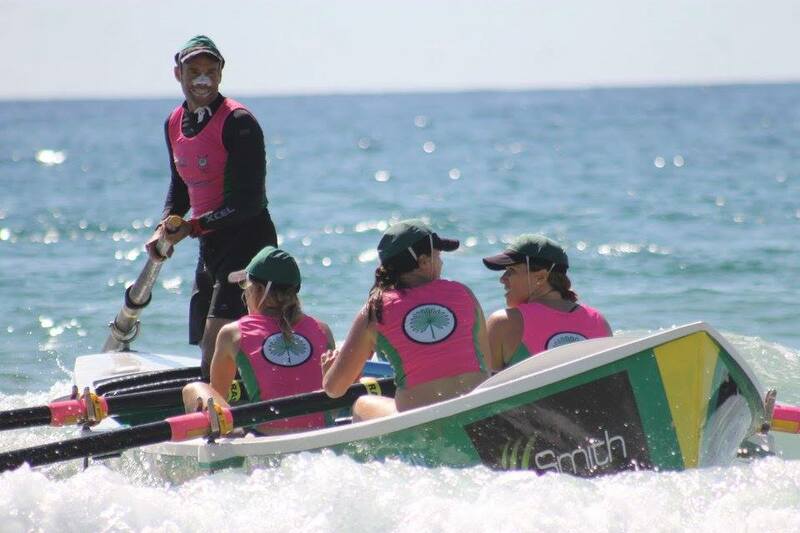 This Patrol Season has been a big one for Palm Beach SLSC Boat Club, selected for the NSW Team Interstate Challenge, medals at Branch and State Competitions, with the club itself has run Volunteer Patrols on the beach, and great in-club carnivals and fundraisers. Alex Tyrell has been front and centre for all of this, even organising the traditional 'christening' of the Freshers after the annual Patrolling Members Photo - which they didn't seem to mind, it being quite warm that day. Born and bred in Sydney on the North Shore. Grew up in Killara, but my parents are members at Palmy so I have been coming up here all my life. Think I had my first ever swim in the Palmy pool. I’ve moved around a bit, always north side and now live in Fairlight with 2 other Palmy members. Name three big changes you have noticed in the landscape/people since those earlier days. • That massive fire that went through the headland a few years ago changed the Joey, but it’s pretty awesome going up there now and being able to get all the way out to the point… Was pretty scary when it was happening though, we were having lunch at the Club when someone came running in… I guess also on that, the track up to the lighthouse is not as much fun as it used to be – fear of broken ankles at every step was pretty entertaining. • When I was born, there weren’t any women in the SLSC, that came a few years later and this year we celebrated 30 years of women in the SLSC – we also now have 5 of the 12 members of the Management Committee being women, including the President, Captain and VC – so things have changed a lot. • My dad used to row surfboats, and he made mum promise not to let me ever do it as it was too dangerous – this was back when the boats were wooden and it was pretty dodgy… Having said that, I still had to hide it from my mum for the first few months of learning to row… Took a lot of convincing! I’d have to say that women’s rowing has really changed in my lifetime, from being non-existent to now (I think) being one of the toughest divisions. What did you want to be when you grew up and what do you now do as a Career? I still don’t know what I want to be when I grow up… Which is quite entertaining as I now work in Careers Engagement as a Specialist with 3 Coordinators who report to me. I talk to students about a career in business, and build relationships with educators and employers to promote the Chartered Accountants Program. A lot of it is changing people’s perception of the stereotypical ‘boring’ accounting field – the modern CA is so much more than that. We run events, do presentations and meet with clients among other things – every day is different. It’s actually pretty fun and dynamic, I have a great team – we all love working with students and grads – some of these guys are so impressive! It’s actually really energising, and I guess being at a surf club where there’s all ages too helps in being able to relate, not to mention that there are a heap of our Club members who are also CA’s too. When and where did you first join Surf Life Saving? I joined Palmy in 2000 after my first year of Uni and did my bronze here. We don’t have nippers at Palmy, and you have to be 18 to join. It was always the plan. Some of my other boatie friends joke that I probably bleed green. I guess that may be true. You're Captain at PBSLSC - what does this role involve? It’s a fair bit of work (I call it my second full time job! ), but it’s also really fun and rewarding. It’s basically overseeing the operational side of the surf club and leading the team/membership. I have a great committee of 11 others who all look after various portfolios covering – patrolling, training, club & external competition, new member (fresher) support, clubhouse and fundraising/entertainments. I do a little bit of all of those too. 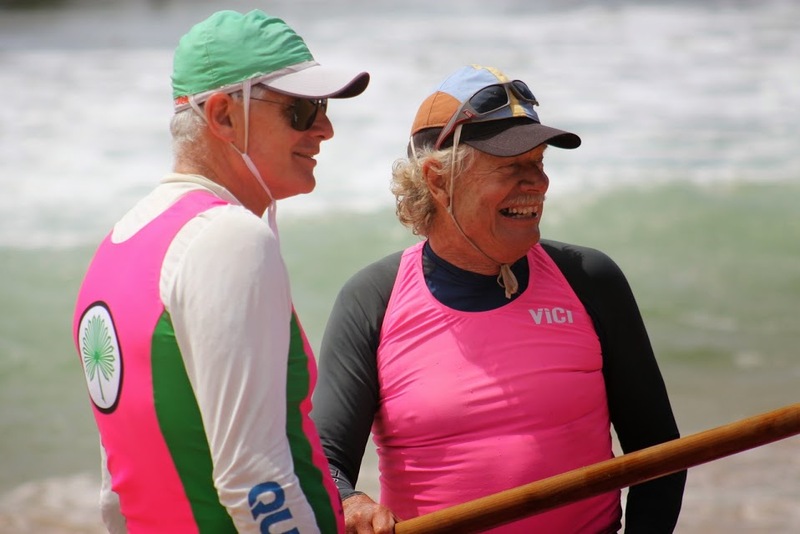 Surf Boats - when did you first begin rowing and who with? Actually my first ever session was withMatty Giblin on Pittwater in 2008, and while I was a bit of a battler, I fell in love with the sport straight away. Midget Farrelly then took me from there for my first 3 seasons, and I have to say he taught me more about the ocean than anyone in my life. The surf skills I picked up with Midget, and the hours and hours catching waves at Freshie were really fun times. I eventually ended up back with Matty in 2011 who has been an amazing coach and mentor. 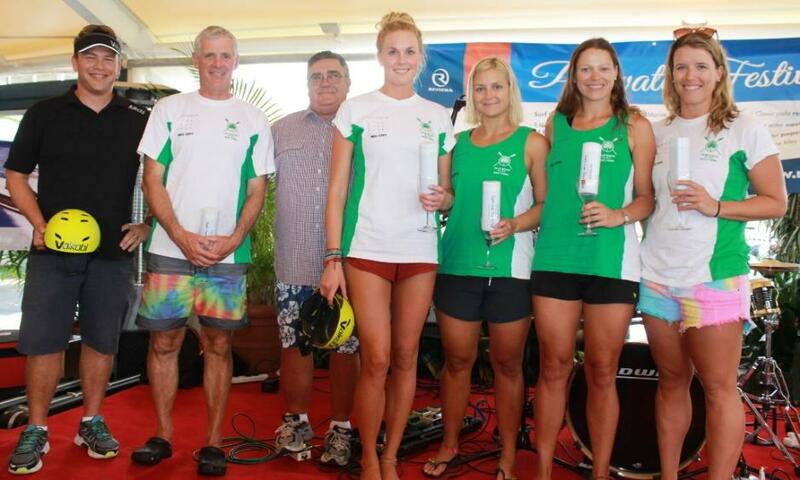 I was really proud to be able to dedicate the new boat in his name this year, and also to be rowing it up at Aussies. The Patriots have been rowing together for a while now, Sweep Matty Giblin - how did this crew originate - and how have you developed? This is our second season together, and I had been rowing with Matty for 3 years prior to that with 2 other crews – Pure Blondes & Pokopanos. 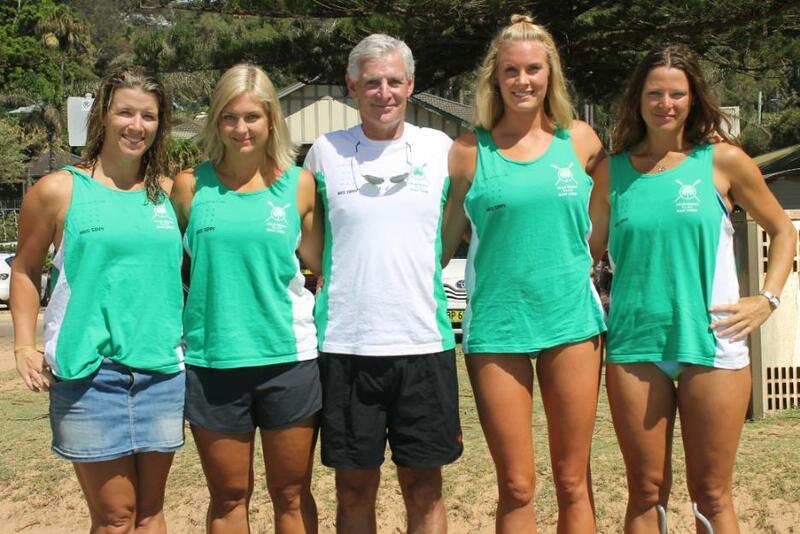 Verity and Lucy rowed with Matty in the U23 crew, Poison, who won the Aussie title in 2009 and got a silver medal in 2008. Luce had been living in Adelaide (rowed for Glenelg down there and made an Aussie Final) and came back wanting to row with Vee in 2014. In the meantime Verity and Elly had been rowing together, and Elly and I started rowing with Midget at the same time back in 2008 – Elly was in the really good U23 Piglets crew. So basically it all just fell together – tho' Elly had to move from stroke to bow, but she’s pretty awesome up there, so it was definitely a good move. We had a bit of a messy year last year with injuries and various subs, and then unfortunately Matty injured himself in one of our first winter training sessions. Spency kindly stepped in to take us, and we’ve all worked really well together. Very happy with the season so far. You're clearly passionate about your rowing - why? It’s the best sport in the world! You’re in a team, you’re on the beach, you’re in the ocean and it’s a massive challenge – particularly when the surf is up. But it teaches you to get back up regardless of what happens to you, and to work together. 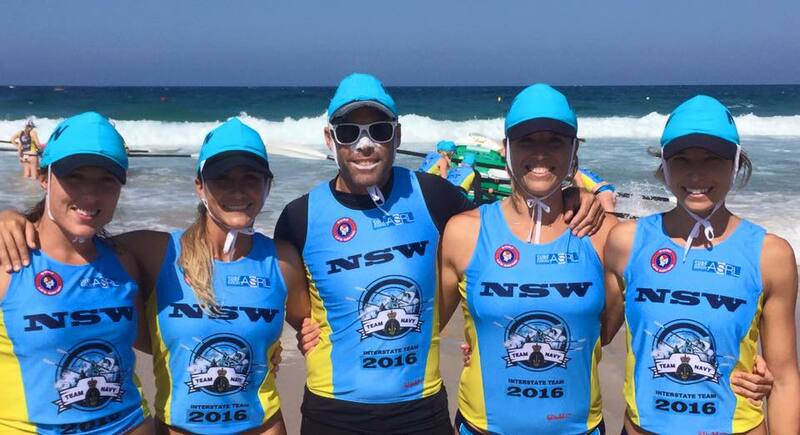 There’s something special (and maybe a little weird) about surfboat rowers, it’s an awesome community. 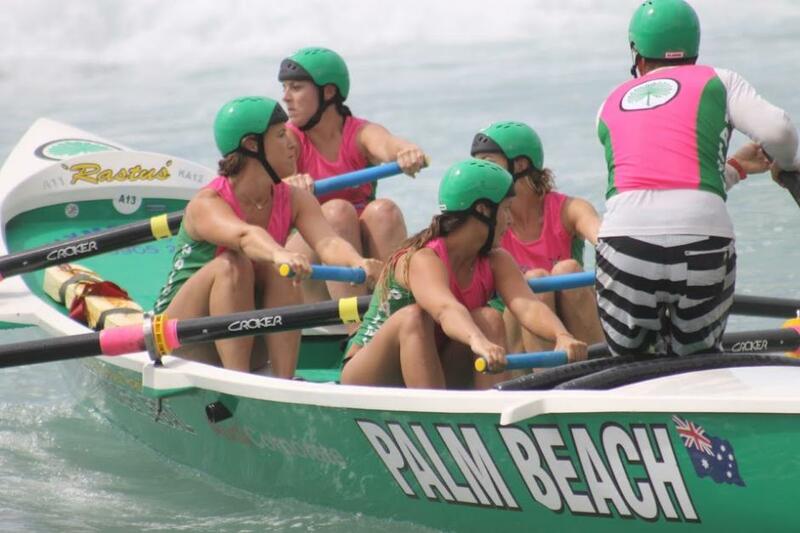 Palm Beach SLSC Boat Club has had an outstanding season 2015-16 - to what elements would you ascribe this? We have a pretty amazing Boat Captain in Peter Spence (super organised – spreadsheet and colour-coding king), a bunch of passionate sweeps who give up heaps of time in training/competition & there’s also a LOT of support from within the 3 Clubs (Cabbage Tree, Pacific and the SLSC). From a rower’s perspective, there’s no big secret, it’s just putting the time and effort in. The work ethic of our competitors is pretty amazing. I have to say too that the majority of our boaties have started their surfboat careers at Palmy, and stuck here – we have a great culture and team environment. The Aussies and next Season - what do you hope to achieve? Basically just concentrated on Nationals at this stage. Aussie Gold is always the aim. I would love to get one in the relay as that’s amazing for the Club – we’ve come so close the last 2 years with 2 silvers – it’s a great reflection on the depth of talent. And naturally I’d love the Patriots to be on the podium. I think Palmy going into this Aussies with legitimate chances in each division, so as Captain I’ll be over the moon with any bling – though we’ve also had a pretty epic season so I’m happy either way. Not thinking about next season yet! There's a great culture at PBSLSC - what, to you, are the best parts of being a member here? It’s a pretty special place. When I joined back in 2000, I only knew a handful of active members and no one in my intake, but now my Palmy friends are some of my nearest and dearest. I still count my Fresher Year as one of my best years at the Club, and I think the fact that everyone has to do it really makes all our members respect the place, and the people in it – we’re really just a big family. We have heaps of fun traditions (like Brats, Brutes, Bruisers) and a healthy social side to the Club helps. I actually spoke at our 50 year members lunch the other day to a room of about 60 people who had all gone through the Club at a similar time, and were all sharing stories of the ‘good old days’. For me that’s something I look forward to (in 34 years’ time)! 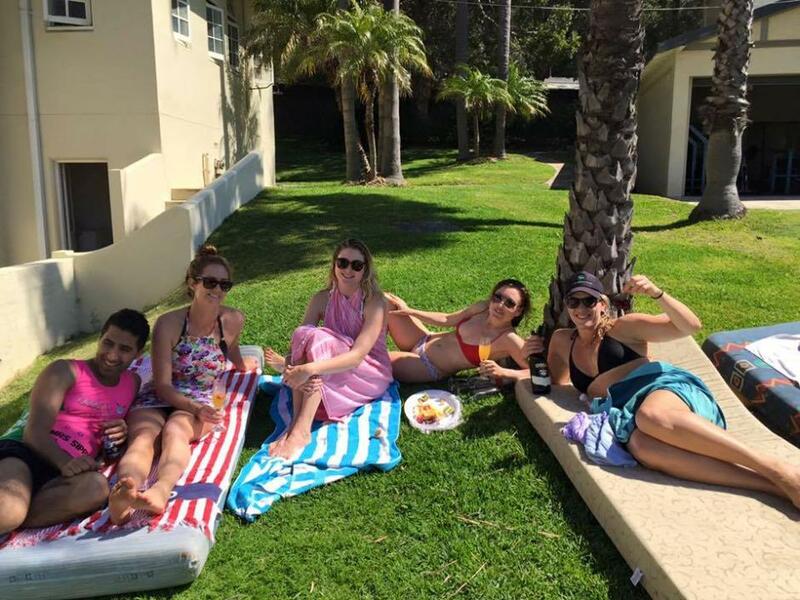 You work hard, you play hard - how do you maintain a balance or do for 'time off'? Haha, what’s “time off”? I’ll sleep when I’m dead… I guess I kind of see all of the activities as balancing each other, and you become a pretty good time manager. I just make the most of any “quiet times” when I can, Sunday arvo beers watching the sunset is one of my faves. And winter is “time off” I suppose – I’m planning a trip to South America in September to walk the Inca Trail, so I suppose that counts?! What is your 'motto for life' or a favourite phrase you try to live by? Sweeps Matt Giblin and Midget Farrelly - for Palm Beach SLSC legends.